The Big Idea 2: Mongol influence led to unified states in China and Korea, but the Mongol failure to conquer Japan allowed a feudal system to persist. I can describe how the Germanic Invasions set the stage for the development of feudal and manorial systems in Western Europe. I can explain what feudalism is. I can explain how the Mongol's failure to conquer Japan allowed a feudal system to persist. View the Playposit video about Manorialism (the Manor System) and answer the questions. Complete your questions sheet AND answer on the video. 100% on the video will earn you a signature. Complete the edcite assignment to learn more about the lives of peasants and serfs under feudalism and the manor system. Horrible Histories! - Fun videos about what life was like for people living in Europe during the Middle Ages. Japan's isolation as an island nation has been useful in its development as a culture. By 500 BC it was still an undeveloped farming culture without cities. Outside influences which led to cultural advancement included (1) contacts with and importing of Chinese culture, especially in the areas of weaving, metals, art and government, (2) the arrival in AD 200 of Korean horse soldier, and (3) the arrival of Buddhism in AD as a religious and philosophical system merging with native Shinto beliefs. By the ninth century AD, Japan had developed enough of a sense of its own character to isolate itself from outside influence and let its own culture take a natural course of development. Feudalism rose in the twelfth century(1100's) and lasted into the feudal period that existed in Europe (from ninth through the fifteenth centuries). The increasing power of land owning families and warlords (shoguns) helped to develop this system. Japanese society and art developed in its own way through its isolation, and also from the fact that it was never a conquered nation. 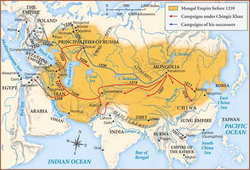 Even the attempts in 1274 and 1281 by the Mongols who had conquered China were ended by the kamikazi (divine winds) or storms that halted the invading Mongol fleets. The victories against the Mongols were a great source of pride for the Japanese and also increased the authority of the feudal system of government. People felt that it kept them safe and helped to defeat the Mongol invaders so they kept feudalism. The feudal system remained until the arrival of Portuguese merchant sailors in 1542. edit. 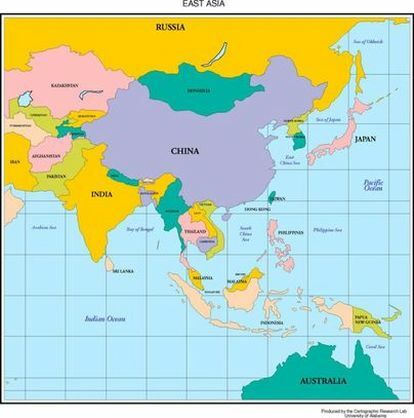 Look at the map of East Asia to see the location of Japan. ***You are moving on to the Compare and Contrast Assignment - NOT THE ESSAY! Below are some sources that can help you research your information for your chart or diagram. You may also have to do your own searches for more specific information if needed to describe or explain things. You will use the sources provided below to fill in as much information as you can comparing and contrasting the European feudal system of the Middle Ages to the feudal system that was created in Japan during the middle ages. A minimum of 5 similarities and differences must be detailed. -How or why each system developed or started. For example: We know the European feudal system began due to a need for protection and safety from invasions. Find evidence for this and then compare/contrast it to how or why feudalism began in Japan. -The different class systems and what their role/duty was. For example: knights vs. samurai OR the role women played in each feudal system and what was expected of them. Compares/Contrasts at least three major aspects of the feudal systems that existed in Europe and Japan during the Middle Ages. 6 pts. -The role of religion in each feudal system. We know that the Roman Catholic Church played a large role in the lives of the people in Europe's feudal system. Find evidence to support this and then compare/contrast it to what you find about Japanese feudal system. Did religion play any role in their system or lives? If so, what religion? - Organized (well constructed paragraphs and sentences), spelling and grammar checked, legible 4 pts. ****Remember you need EVIDENCE so be sure to look for helpful quotes and keep track of what source your information is coming from.